Siem Reap, Cambodia’s famous temple town and on the bucket list of almost every visitor to the country, does not need much introduction. The resort town and the capital city of Siem Reap province in north-western Cambodia is very popular due its strategic location as the gateway to the Angkor region and the amazing ancient Angkor Wat, a UNESCO World Heritage site, built in early 12th century. Siem Reap and the Angkor region offer a treasure trove of incentive-styled activities. We are taking a responsible approach in creating sustainable programmes to ensure their rich awe-inspiring cultural and historical assets are preserved. We are also putting the communities first with programmes that will give underprivileged children the chance of a better life, in addition to sprucing up the region. 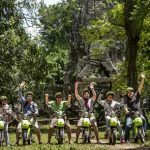 Asian Trails Cambodia has numerous programmes, which will meet your requirements for a productive incentive trip with a sustainable approach. 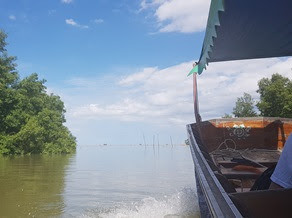 Asian Trails Thailand, a proponent of sustainable tourism, is offering clients the opportunity to restore and replant the mangroves in southern Thailand’s Krabi province. This is to ensure the natural habitat of hundreds of marine life in the mangrove forest is maintained. Board a small local boat in Krabi town for the journey to Khao Kanab Naam, passing lovely, natural scenery along the way. Join the locals in cleaning the beach area to keep the environment conducive for the area’s famous Spotted Babylon, a species of sea snail, to thrive. This eco-activity is to minimise erosion of the beach by the waves, ensure the mangrove forest continues its growth and maintain the area’s ecosystem. The programme is suitable for 10 to 60 pax. 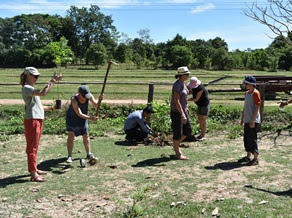 In collaboration with La Folio Lodge, Asian Trails Laos is offering a cultural programme with local activities and participation in community projects. 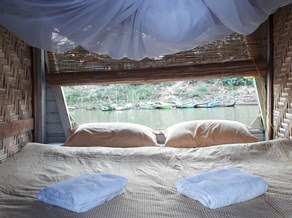 The Lodge is located on the charming car-free Done Daeng island on the Mekong River near Champasak in southern Laos. Activities include visiting a fisherman’s house for lessons in fishing and making net; planting rice in a paddy field; learning how to make a knife or rice basket in a local handicraft workshop. After engaging with the locals and their way of life, the afternoon is free to enjoy swimming in the lodge’s pool, rent bicycles to explore the island or relax. Groups are split into 10 pax each to take turns in participating in two or three activities due to time constraint. Singapore is more than just a shopping paradise or a city famed for its heritage buildings. 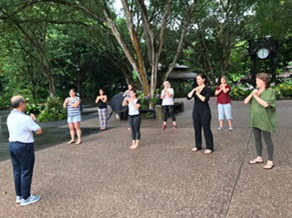 Our team in Singapore is showing a different side of the city-state through an unusual yet remarkable experience – Tai Chi. A Chinese martial art originating in ancient China, referred to as “moving meditation”, it strengthens balance, helps with relaxation, reduces mental stress and improves blood circulation. The venue is Singapore Botanic Gardens, a UNESCO World Heritage Site. Breathe in the fresh air of the hills while performing this art in a slow, focused manner accompanied by deep breathing. Then enjoy the National Orchid Garden with the world’s largest display of tropical orchids, over 60,000, with 1,000 species and 2,000 hybrids. Suitable for groups of between 20 to 50 pax. This is a tour to discover Bali’s rich culture in an environmentally friendly way on electric bikes. Asian Trails Indonesia organises this urban sustainable programme, for groups of up to 20 pax, with professional cycling guides to accompany the guests. The two-hour cycling trip by Green Bike Bali starts from Batukaru Temple (no temple visit), a Hindu temple in Tabanan, biking through beautiful landscapes to the rice fields of Jatiluwih, a UNESCO World Heritage Site. The guide is happy to share knowledge of the spectacular picturesque rice fields. After a delicious meal at a local restaurant the driver takes guests to the nearby Yee Hoo waterfall for a swim in the cool water or enjoys the tranquil surroundings and takes photos. 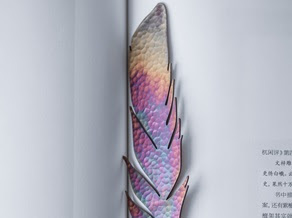 Upcycling, also known as creative reuse, is the process of transforming by-products, waste materials, useless or unwanted products into new materials or products of better quality or for better environmental value. Asian Trails China has organised an innovative upcycling workshop for guests to put their creativity into practice. Enjoy making a belt out of plastic, a shopping bag from ocean plastic, a pencil pouch or Chinese zodiac bookmarks from recycled barrier tape. 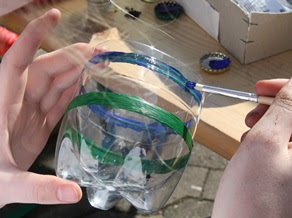 Participants, while having fun upcycling is also contributing towards the preservation of the environment. The workshop, lasting two to three hours, is for groups of up to 20 pax. Maximum number of pax to operate this tour is six, but it can host up to 12 with clients splitting into two groups staying overnight in different villages. The boat has three cabins, each accommodating two persons, and three tents with two persons to a tent. Want to try your skill at toy-making for a good cause? Then be part of the workshop initiated by Asian Trails China to produce high quality toys as part of its corporate social responsibility to help children in need. Teams are challenged to make the toys armed with just wooden parts and three-dimensional blueprints with different designs to guide them through the process. The quality of the finished products is checked before the participants decorate them with brand colours in creative ways. The teams then have to use the toys to create innovative and educational games, which they will show on stage. This fun and innovative workshop is for groups of between 12 to 50 pax. Escape the hustle and bustle of Siem Reap and savour the relaxing benefits of a restorative yoga/meditation session in the garden of Sala Kdei. Sala Kdei is a beautiful traditional wooden Khmer house in the temple area. Nestled in a tropical garden the property overlooks the royal bathing pool of Sra Srang, once used by the ancient Khmer kings and their concubines. In this serene setting, amid the historical atmosphere of Angkor, clear your mind from worries and mental discomfort of modern life and experience true relaxation. The programme is designed for groups of up 50 pax maximum. Clients can choose the time of the session that best suit them – from 6 a.m. to 10 a.m. Most schools in remote Vietnam are low on funds and quite run down. Asian Trails Vietnam is offering visitors the opportunity to help these schools and create a conducive environment for the children to pursue their education through a “school painting day”. Paints and other materials are provided. Leave the city early in the morning and travel to a remote village, far from the tourist’s trail. Children are waiting to help with the colouring of their school and their world. When the painting is finished, time for photos, mingle with the villagers and give gifts such as books, pencils and school materials, to the children. Lunch, snacks and refreshments are served throughout to all present. Maximum group size for this fun programme is 100 pax. 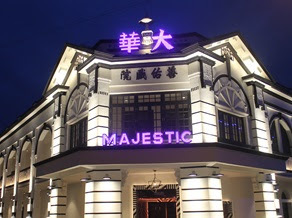 The Majestic Penang, a British colonial building and formerly a theatre, was built in 1926 by a prominent Strait Chinese architect, Chew Eng Eam. It was famous for live shows such as the steamy Rose Chan cabaret acts. After being abandoned for almost a decade it was restored to its former glory as an events venue. A heritage building, The Majestic carries out sustainable practices and recycling for all events held there in line with its green initiatives to preserve its architecture and history. Delegates will find these practices in the spaces available for events – the 26,000sqft main hall that can seat up to 800 pax and accommodate 60 banquet tables, The Circle (balcony area) and a private VIP box including a holding room.